Protolabs (officially) thinks the Form 1 is cool! 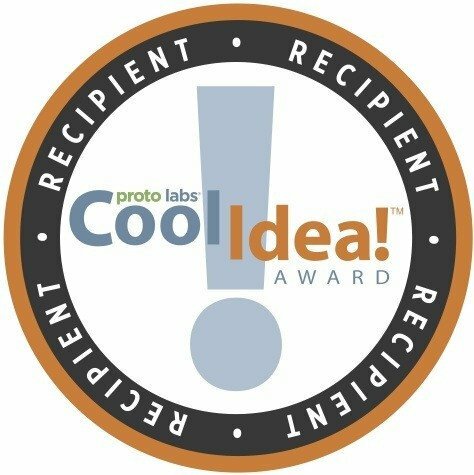 Protolabs just told the Formlabs team that we’ve been awarded the Proto Labs Cool Idea! Award! Coming from “the world’s fastest custom manufacturer of prototype and low-volume parts”, this is a huge compliment! The Cool Idea! award is designed to give product designers the opportunity to bring innovative products to life by providing Proto Labs’ Protomold injection-molding and/or Firstcut CNC machining services. Just like our Kickstarter backers, Protomold is helping us in a big way to get our production lines rolling. They’re providing us with injection molded parts to help build the printers we fund on Kickstarter! We’ve used Protomold’s services before to excellent satisfaction. We can go from 3D printing on our desktop to production parts in a few weeks, which is just awesome. Protomold is known for lightning fast service. This gives us even more confidence that we will get the Form 1 to you on schedule!